From educational centres, to busy offices or industrial sites EcoControls has the power to deliver the flexibility and control for any size of project. Design assistance doesn’t end here. Project specific support is provided to Electrical Contractors and Specialist Installers to ensure a trouble-free installation and project delivery. On going service and optimisation support maximises the return on investment, user comfort and longevity of the system. 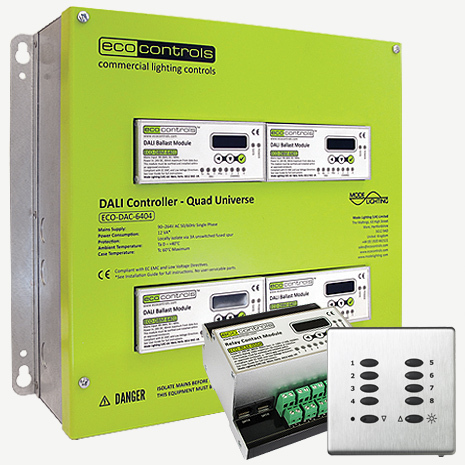 For more information on the extensive range of eco controls products please do not hesitate in contacting our Sales Team.